On September 27 OHRAB had the opportunity to present to the Ohio Council of County Officials on the topic of Electronic Media Permanance. Fred Previts (State Archivist), Cindy Hofner (Wood County Clerk of Courts), Brenda Ransom (Wood County Archvist & Records Manager), and Pari Swift (OHRAB Chair) participated. 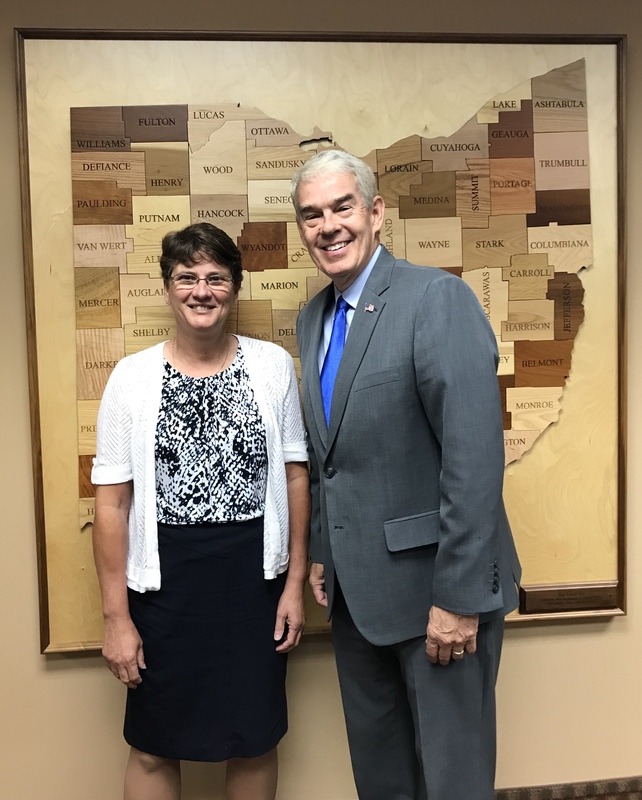 Pictured below, Cindy Hofner with honored guest Senator Randy Gardner. 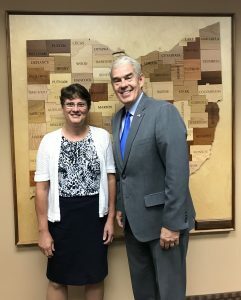 The Ohio Archives Grants are funded by the National Historical Publications and Records Commission (NHPRC), an arm of the National Archives and Records Administration (NARA) through their State and National Archival Partnership (SNAP) Grants program. Please visit our Ohio Archives Grant Program for more information.